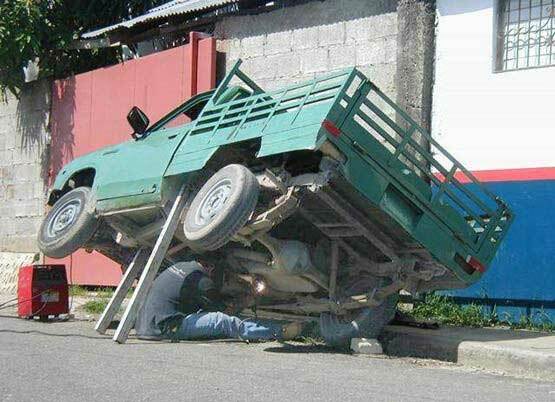 “Occupational Hazard”, or “Genetics – Why Women Live Longer than Men” – a man sits under a car welding the fuel tank while the car is propped precariously on two small wooden poles. Created about 14 yrs, 5 mths ago (October 24, 2004). Updated about 8 yrs, 3 mths ago (January 6, 2011).